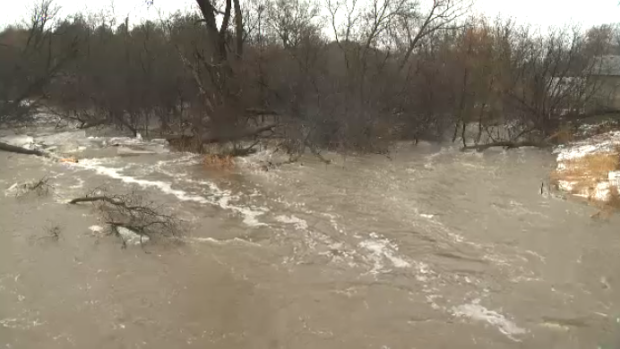 The Nith River has experienced flooding almost each year. Flooding along the Nith River happens almost every year, causing damage to downtown New Hamburg. Residents have been upset with how the township has handled flooding aftermath. The Nith Flooding Action Committee has been formed by concerned residents hoping for change in the municipal election. A petition was started, with the group going door-to-door, putting it in online and getting it in 35 stores throughout New Hamburg. “There is an overwhelming response from people in downtown New Hamburg that they want the township and the GRCA to do something about the flooding,” said Brenda Murray, who is on the committee. Les Armstrong, mayor of Wilmot Township, said that residents who have faced damages from flooding can apply for compensation under the Disaster Recovery Assistance for Ontario Grant, even though the flooding is no longer considered unusual or exceptional. The Nith Flooding Action Committee believed the township and the Grand River Conservation Authority are not doing enough, calling for a new mayor ahead of municipal elections.